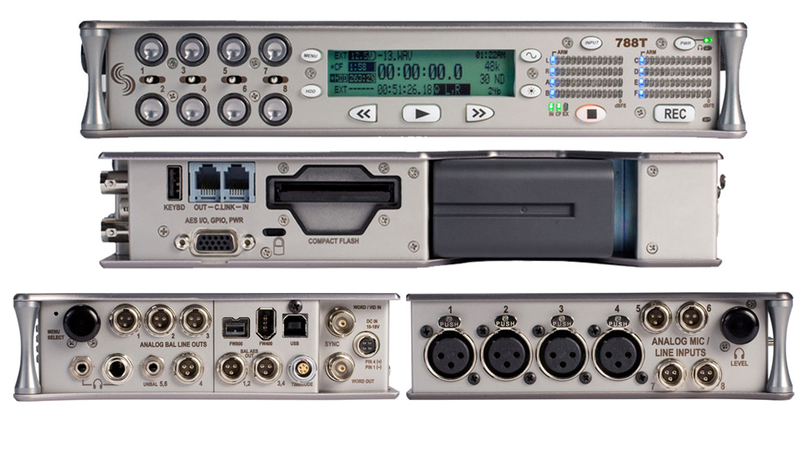 The 788T and 788T-SSD are eight input, twelve-track digital audio recorders designed for production sound. Its eight pristine analog inputs accept microphone or line-level signals, provide 48 V phantom power, offer peak limiters for microphone signals, and adjustable high-pass filters. For additional flexibility, the 788T accommodates eight channels of balanced AES3 digital input and six channels of balanced analog line-level and AES3 digital output. Support for AES42 digital microphones is also available.